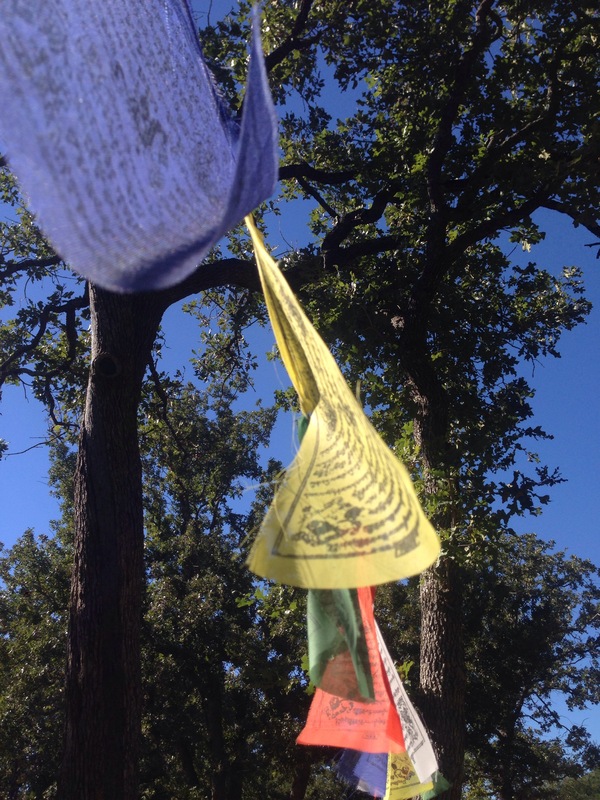 I’m not a religious person anymore but I try to be a spiritual person, and in that capacity bought some Buddhist prayer flags to hang in my backyard in the middle of 2014. The symbology appeals to me and I love the concept that as the wind blows tiny fragments of the flags away your prayers and dreams are carried with them. The flags are colored blue for space, white for the wind, red for fire, green for the water, and yellow for the Earth. I hung them between some trees in my backyard and had great pleasure and contentment watching them as the wind slowly frayed the edges and spread my dreams with the wind. Then the squirrels in my yard tore them down and ate them so it was fun while it lasted. Actually I hope they used them as bedding in their nests…. Love spread through creation. Please have a safe and Happy New Year’s celebration with your friends and family: Spread Love through Creation. ← Coming Soon to ATX….